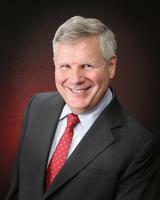 Since starting my real estate career in 1975, I have been associated with 2 real estate companies. Not one who likes to stop and restart, I worked with one company for 15 years, until it went out of business. In 1990 I joined RE/MAX Professionals because of the quality of the other real estate agents and the integrity of the owners of the company. That is also why I have stayed with the company. Having received the Lifetime Achievement Award from RE/MAX International was one of the highlights of my career. It was recognition for the hundreds of people that I have helped to sell and find their homes. Yet today, I still get a thrill in matching my client with the best home out there. I also love the feeling of helping someone find a new owner for the home that no longer meets their needs.Personally, I am very happily married to Lynn for over 45 years, and have a wonderful son and daughter-in-law in San Francisco. My constant companion is Paige, my standard poodle. Most of my clients have met her and many are now real poodle fans. My philosophy in helping other people is to listen to what they want, work very hard to find the best match possible, negotiate in their best interests and do what it takes to make sure that we get through all the obstacles. Hard work and ingenuity are my trademarks. Let me go to work for you.